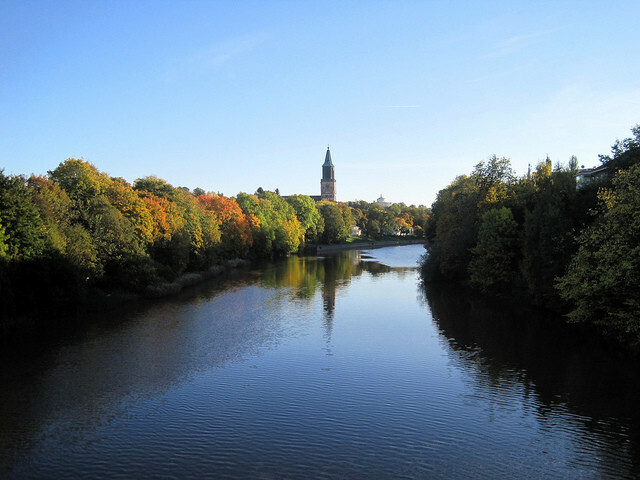 Why did you choose to go to Turku, Finland? In my first year at university, we could only choose between France, England or Finland. since there were no other agreements. 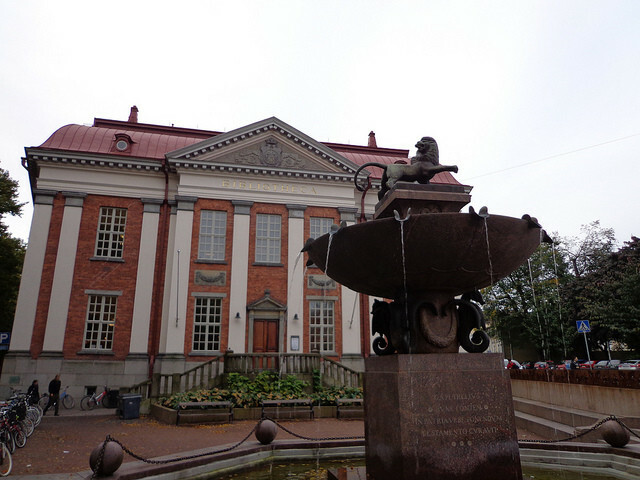 As the scholarship for England was very sought after, I preferred to choose to go to Finland. The level of English there is very high and you can take classes in English, Finnish or Swedish as they have two official languages. It also turned out to be very interesting to get to know a Nordic country which I hadn't known anything about before going. What you can see is that they have the best educational system in Europe, and it's proven that you learn a lot and in a very practical way. My grant lasted for six months, but they have agreements with different universities and of different durations. And in terms of money... now I know that the minimum benefit has changed, but mine was €80 a month, I didn't even get the plane ticket, and they gave it to me by bank transfer before the start of the scholarship. 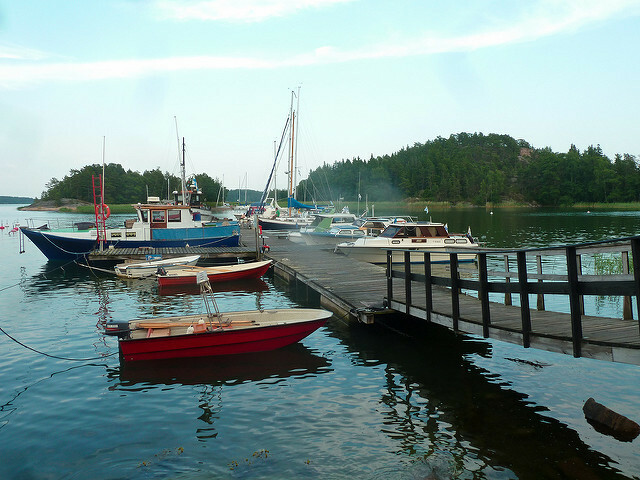 What is the student lifestyle like in Turku? Great, there are lots of universities, you could say it's like Granada, Seville or Salamanca, in the sense that it brings together people from different parts of the country who live there during the course, the amount of foreign people doing their Erasmus there is also incredible. There are lots of enormous neighbourhoods where only students live and almost everyday there are Erasmus parties or uni parties in one of the diffeent areas of the cit. What happens is that since there are many universities you have to be attentive to find out. Would you recommend the city and the University of Turku to other students? Definitely, yes! They have a very different system to the one in Spain; they work for blocks of 2 or 3 months on a particular topic, You will be subdivided into subjects of two or three credits all related in a final work in which you unite the concepts of the different subjects. The truth is that I studied in a polytechnic called Sydvast, and there the classes did not exceed 15 students, but by other erasmus I know that in other universities you can find classes of up to 200 students. but from other Erasmus students I know that in other universities you can find classes of up to 200 students. Well, this depends, for example it is quite difficult to find cheap beef or pork, which is understandable since you would need heating to raise cattle! The meat they usually use is reindeer, but they have a lot of fish and vegetables in their diets. As well, the university has dining rooms and there are places for students all over the city and you can eat a whole meal for less than €3. You can save money and eat a wide range of stuff. How did you find accommodation? I was put in contact with my coordinator and they sent me some links to students acommodation. like I have said, there are some neighbourhoods that rent different types of accommodation only for students, so you can pick between sharing a bathroom, kitchen, room or nothing, they have offices, washing rooms and a market. You can also choose between living with lcoal people or Erasmus and foreigners. There are also areas where there are shared flats that are frequently rented by students. I was, and I would recommend, living in Yliopolaskyla which was 15 minutes walking to the centre and 2 to the bus stop, it is also enormous and it has a wide range of acommodation on offer. What is the price of accommodation? And the prices in general? For example, in my case I had an individual bedroom with my own bathroom and I shared a kitchen with 12 other students that always ended up being more... For €250 a month. But I had firends that lived in shared flats and paid around €100/€150 a month. The food in the supermarkets is expensive here, meat is expensive and the rest is very good. Anyway, they have a discount system for students that leave the prices very affordable on almost all of the services, like dining rooms (menu between €2. 50 and €3), discounts in Spa, museums and transport (transport card for €30 a month when you can get any bus that you wnat). The truth is that Finnish is super complicated but dont worry, because you can speak English wherever and youi can also have classes in English. There is also the option of Swedish but not everyone speaks it, in Turku there is quite a few people and it is quite similar to German. 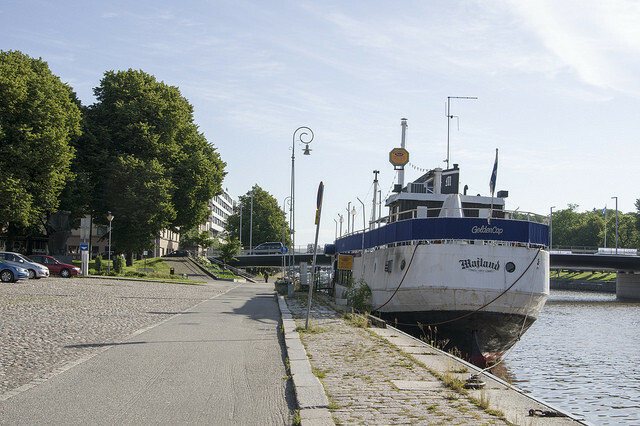 What's the easiest or most economical way to travel to Turku from your city? I think the cheapest option is to travel to London and from there to Tampere, which is located in the center of the country, from there take a train to Turku (southwest), it's the cheapest but is also the longest because you spend a lot of time on lay-overs because the planes from Western Andalusia arrive in London in the afternoon / evening, and the ones to Finland leave in the morning, so you have to spend the night at the airport. Anyway, I travelled in 2006 and it's possible that the combinations have changed. 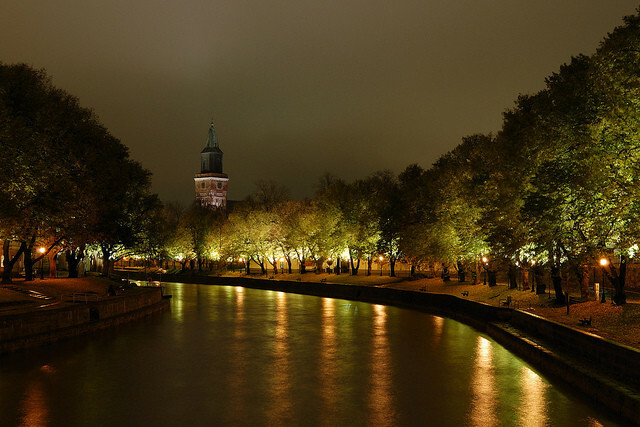 Where would you recommend to go on a night out in Turku? Onnela, Giglins, Barbie, there is always an Erasmus night out somewhere! and on Sundays go to the sauna and take a dip in the icy sea... Great to recover from the week. And to eat in Turku? Can you tell us your favourite spots? I don't remember the exact names but there was a kebab shop where I ate a lot and it was good and cheap on the walk to the cathedral and the bus station. There was also a open buffet located behind the shopping centre on one of the parrallel streets to the central square called Market Sqaure. And of course, the student dining rooms. It is very important to visit the sauna and take a dip in the frozen sea, literally you get into a hole made in the ice and there is nothing more typical than saunas in Finland, you can also visit the old quarter (converted into a museum) or take a walk through the park of the observatory, if you go there in winter it's ideal for sledding, Also, in Vappu, the most important party you can go to there, people have a picnic and there are outdoor concerts. Another option that I would recommend is to take a cruise ship that goes to Stockholm, costs about €50 round trip with cabin for 4 people, You can take the boat in the afternoon, spend the night on board, arrive in Stockholm in the morning and spend all day there and take the boat back again in the afternoon to get back to Turku the next morning. So, you save on accommodation and get to visit the neighboring country which, by the way, is beautiful. 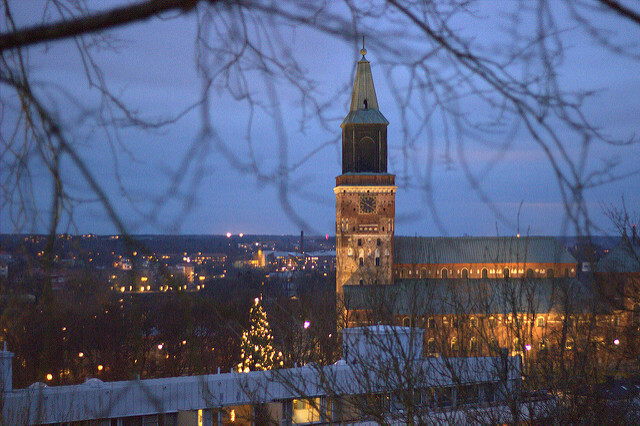 What advice would you give future students heading to Turku?
. It is very important in Finland to keep your hands, feet and head warm as your body heat escaped through these parts. Be careful with long skirts and trousers as the snow melts and you will be soaked. Also be careful not to wear too many layers of clothing as it is very cold in the street but everywhere else there is heating, you'd be better off with just a good coat, otherwise you'll have to be taking everything off and putting on jumpers all the time, and in the end you'll be in short sleeves! More things, there are no blinds so if you mind it being light when you sleep make sure you look for a good blindfold... Especially, the most important thing, the fact that there is light does not mean that there is sun, I spent two months without seeing the sun there, and I don't know if you know that there are vitamins necessary for us that are only given by the sun, specifically vitamin D, so it is necessary to take some supplements so that you don't feel bad or tired. The last but not least bit of important advice is to enjoy yourself! It is a unique experience, soak up all cultures and learn from them, although it may be difficult at the beginning, when you return home you will always miss it! Good luck my friends on your adventures! 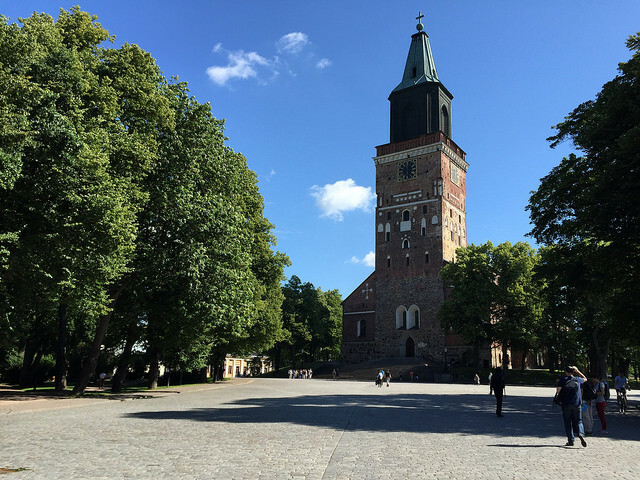 Share your Erasmus Experience in Turku! 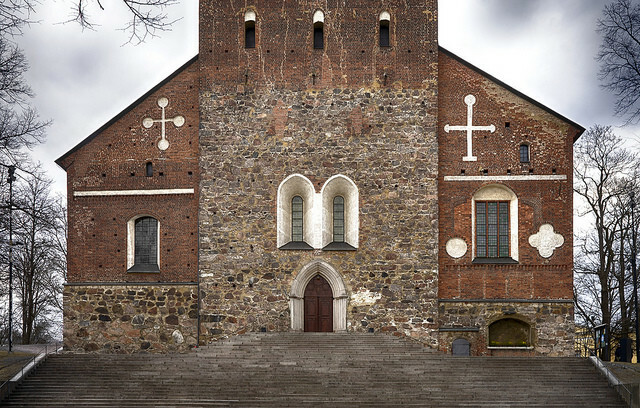 If you know Turku as native, traveler or as exchange student... share your opinion on Turku! Rate different characteristics and share your experience.